With November comes chilly mornings and nights with plenty of rainy sessions in between. Bad for my motivation to knock things off my to-do list. Great for my to-read pile dwindling. I'll have to give this one 3 stars. 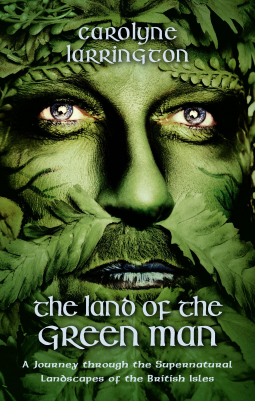 The author has clearly done years of research on the vast array of folktales around the British Isles, scouring oral history, preserved documents, and theses about all that history. She even brings modern fantasy big shots who use the very same mythic legends to develop their own tales for the modern reader to the argument table. An attempt to bring the ever changing, developing youth in touch with their rustic roots of wonder and awe. The part that is lacking for me is the heart, though. The whole essay lacks the essence of the fairy livelihood. It misses out on the actual wonder and awe part. All of it reads like a semi-dry lecture paper that gets buried at the back of the library to collect dust. And this is coming from a huge folktale enthusiast who has read some really dry academic papers on the subject up to the soul embracing exploration of myth with fiction. I also was not a fan of "filler" pages that recap an entire epic fantasy novel from the 70s. (Granted I'm missing the reference completely as I am neither British nor from that era; however, I don't think I'm totally amiss in my point that an entire recap of the plot line is unnecessary for this dissertation.) The author mentions the trickster nature of the fairy nation, yet somehow misses the feeling in her actual writing. Pick it up if you are looking for a comprehensive look into the myths of the British Isles. Fairy creatures from brownies to the kings of the fae nation are all present here with the variants particular to region. The whole compilation is very well laid out, if only it had the heart.